Illustration by Tennyson showing Humpty-Dumpty talking to a baffled Alice in “Through the Looking Glass”. ‘Urbanism’ is not an English word, but at TU Delft we use it to express a particular understanding of a discipline that is concerned with the organization and the design of human activity over a territory. In continental Europe and in Latin America, ‘Urbanism’ can describe various types of understandings and professional qualifications with an emphasis on the design of the built environment. In the Netherlands, there is a particular understanding of the discipline, which is not always easily communicable to outsiders, partly because practices have become so ingrained that they have become ‘invisible’, and partly because those practices are the result of very specific societal practices which do not translate easily into other contexts. What Urbanism comprises in the Netherlands is not easily explained: there is a strong element of urban and regional design mixed with planning components, with tints of engineering, landscape architecture, sociology, political science, history, spatial economy and now even computer modelling. When the daily board of the department of Urbanism of the TU Delft decided to implement a new methodology programme in its two-year Masters programme, we were faced with some big challenges. Within our department there is a large variety of ideas and opinions about what an education in Urbanism should entail and what the relations between research and education ought to be. Four main issues arose. First, as we explained, there is a particular understanding of the discipline and the activities and actions connected to it in the Netherlands (idiosyncrasy). Second, the scope of the discipline is very wide and different communities of practice have different understandings of the questions to be addressed (scope). The third issue concerns the dynamic nature of urban studies and practices today. The existence of new spatial challenges, new tools to understand them and new practices to tackle them means that the scope of the discipline is dynamic and in permanent evolution. Therefore, traditional and sometimes somewhat simplistic understandings of urban development and the practices involved are being challenged and new research and practice paradigms are arising (evolving paradigms). The fourth issue concerns an education in an increasingly internationalized environment, where understandings about the nature of the discipline are bound to differ (internationalization). These four issues are interconnected and they have a huge impact on the nature of the questions being asked in an academic environment and the answers being delivered (the ontological question), the methods employed to answer those questions (the methodological question) and the discourses being built around questions, answers and methods (the epistemological question). The department of Urbanism consists a variety of chairs. All chairs form their own small communities of practice. The MSc Urbanism curriculum is taught by staff members from all chairs. Different communities of practice often have very different worldviews. A worldview is basically a set of beliefs that one holds about the nature of the world and one’s place in it (Biggs, Buchler and Rocco, 2009). 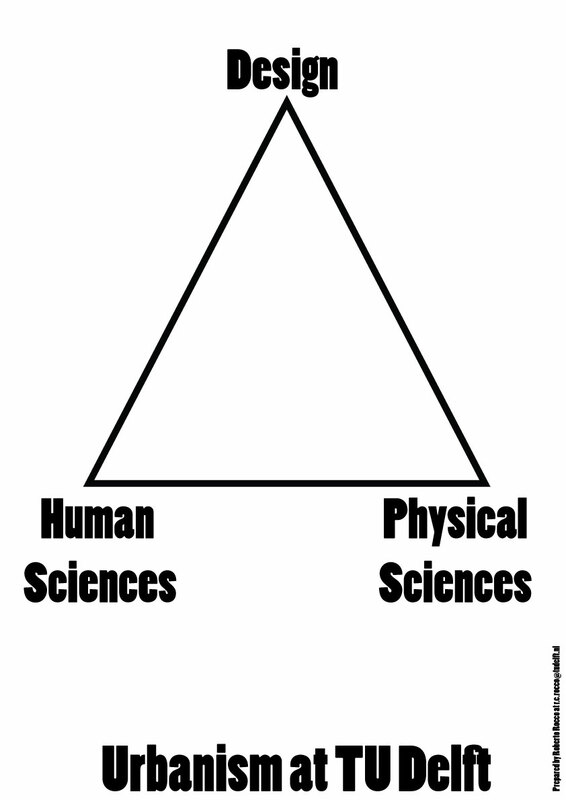 In philosophy of science, a worldview determines how one sees the world and the questions one asks about this world. In short, in academia different worldviews determine different research questions and the activities one would undertake to answer them. These different activities form different paradigms of inquiry (also called logics of enquiry). These different paradigms of inquiry must be articulated if Urbanism wants to claim its place as a specific discipline and not a collection of disparate disciplines next to each other. 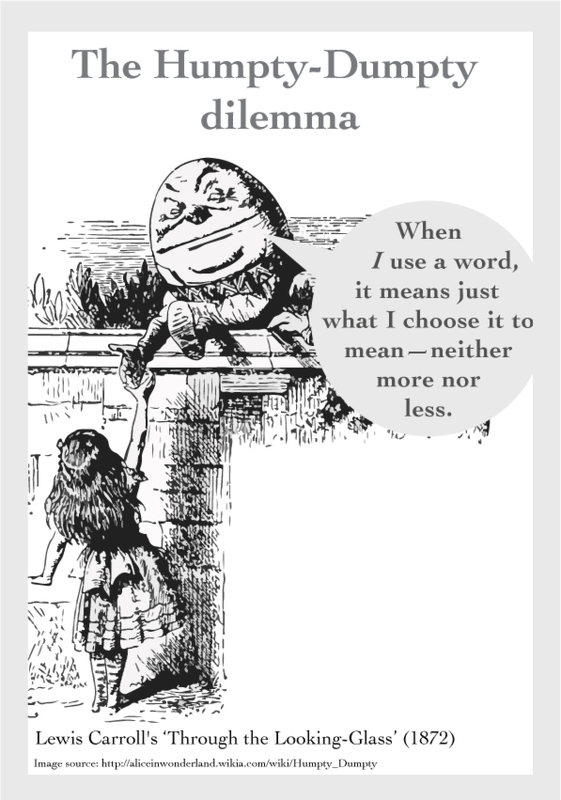 In short, knowledge in Urbanism must be articulated across disciplines and across communities of practice in order to avoid what we call “the Humpty Dumpty dilemma”, that is, a situation where knowledge is being produced and validated by one’s own peers, without outside scrutiny. In this scenario, knowledge becomes highly idiosyncratic and “words mean exactly what one wants them to mean”, without regard for inter or cross-disciplinarity. See the whole article written by Roberto Rocco and Remon Rooij and published in ATLANTIS HERE. What logic of enquiry are you closer to? Urbanism at TU Delft integrates different logis of enquiry that stem from three different fields of human knowledge: the human sciences, the physical sciences and design. In order to understand what logics of enquiry are, see our post entitled “Miss Lovely Legs“. Each logic of enquiry entails a different way to conceive knowledge and the object to be known. Therefore, each logic of enquiry entails different questions and different methods to answer those questions. For example, take the canals of Delft. Having the physical sciences guiding one’s logic of enquiry, one’s question could be: How do canals contribute to water management in the Netherlands? How to keep the canals from overflowing? How to pump water from a lower level to the next? In short, how do canals work? But if one has the social sciences as the point of departure, one may ask: How do the canals of Delft influence human behaviour? Why do people like to live near water? What is the history of canal building in the Netherlands and how has it influenced urbanisation? If the logic of enquiry is based on design, then the questions could be: How to use water to design a permeable neighbourhood? How to design a neighbourhood where water is used as means of transportation? How to design ecologically sustainable and flood resilient neighbourhoods? In this example, it is easy to imagine that one needs to combine several logics of enquiry in order to arrive at a good design or plan. In a design and planning project that deals with complex urban problems, you need to articulate different logics of enquiry to answer different problems arising simultaneously. Design is a propositional activity. By propositional we mean that when you design, you are proposing something new. Most likely, you are proposing a direction to be taken by designing a new shape, a new process or an intervention. In the case of Urbanism, this is most likely a spatial intervention, but it could also be an intervention in the form of a new regulation or plan that will have a spatial outcome. In short, designing is all about proposing something that did not exist before. The word DESIGN comes from the Latin “designare”: to point out, to mark out, to bring something to one’s attention. Through middle-French, it evolved into “desseign” or to “mark something out” and later “to give something a shape”. But there is another interesting word for us: PROJECT. Project comes from the Latin proiectum “something thrown forth,” ” from pro- “forward” (see pro-) + combining form of iacere (past participle iactus) “to throw” (jet). In other words: to throw forward. Slowly, it acquired the meaning of “scheme, proposal, mental plan”, or “an idea being thrown into the future”. Finally, the word PLAN comes from Latin “planus”, meaning literally a “flat surface”, in the sense of drawing something on a flat surface (which gives you a “plan”). This word has also evolved into the middle-French “plante” and the Italian “pianta”, meaning the drawn plan of a building, for example. These words help us understand the role of design and the interrelations of planning and designing in Urbanism. *Several sources were used here, but the on-line etymological dictionary at http://www.etymonline.com gives you a good idea of what we are talking about. The objective of this exercise is to explore and unfold core concepts for Urbanism. For the purpose of this exercise, we consider FIVE crucial aspects of the discipline: KNOWLEDGE, SKILLS, TOOLS, QUALITIES and VALUES. We have decided to do this because of the excessive emphasis on tools and skills given in Urbanism studies. These are eminently practical dimensions of Urbanism. It is crucial to teach relevant skills and tools. However, we consider that KNOWLEDGE is the foundation on which all is built (no pun intended). Without knowledge (practical and theoretical), skills and tools are not able to fulfil their tasks fully. Furthermore, we believe that a discussion on VALUES (of the profession and of the Urbanist him or herself) and QUALITIES (of the Urbanist) are essential elements for professionals to operate in the world. TU Delft also emphasizes the ETHICAL dimensions of the discipline, which we try to explore through the discussion of values, qualities and knowledge. MIND MAPS are a visual/graphic way of brainstorming, unfolding concepts and expanding ideas. We think this is an ideal technique to tackle the challenge of visual and textual communication, which is central to urbanism. You can visualize the best essays written for this course in the last 3 years HERE or download the brochure directly from the this link BEST ESSAYS DOWNLOAD. This summarises the philosophy of our course regarding knowledge formation.